ISLAMABAD: The Ministry of Commerce is formulating an “export enhancement strategy” to promote new and emerging products/sectors as well as to explore non-traditional export markets. This was said by Commerce Secretary Younus Dagha during his meeting with a delegation led by Ambassador of Argentina Ivan Ivanissevich on Wednesday. 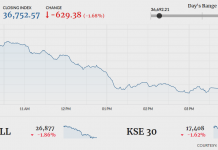 He said Latin America was one of the most important non-traditional markets where Pakistan’s share was negligible, despite having a huge potential to serve the region’s both traditional and non-traditional sectors. “In order to achieve greater market access in the region, the Ministry of Commerce had signed a Framework Agreement on Trade with Mercosur (a trade bloc comprising Argentina, Brazil, Paraguay and Uruguay) in 2006, with a view to signing a preferential trade agreement leading to a free trade agreement,” he added. The commerce secretary said that Pakistan shares an annual trade of $1 billion with Mercosur countries and an annual bilateral trade with Argentina of $200 million which has a potential to reach $800 million. “FTA will provide an opportunity to address trade deficit with Mercosur countries,” Dagha said, adding that Pakistan’s imports of soya bean oil could provide a lucrative opportunity to Argentinan and Brazilian markets, while Pakistan was mainly focused on the export of textile. Pak-Mercosur FTA, he said, would create further win-win opportunities for both Argentina and Pakistan. The Ministry of Commerce has been making consorted efforts to restart negotiations on Pakistan’s bid for PTA/FTA with Mercosur, he added. Due to the consistent efforts of the ministry, Pakistan’s request will be taken up by the External Relations Group of Mercosur (GRELEX) in early 2019, the secretary informed. “As Pakistan’s request is being taken up by GRELEX, the Ministry of Commerce has intensified its trade diplomacy efforts by engaging the embassies of Brazil and Argentina in Islamabad,” he added. 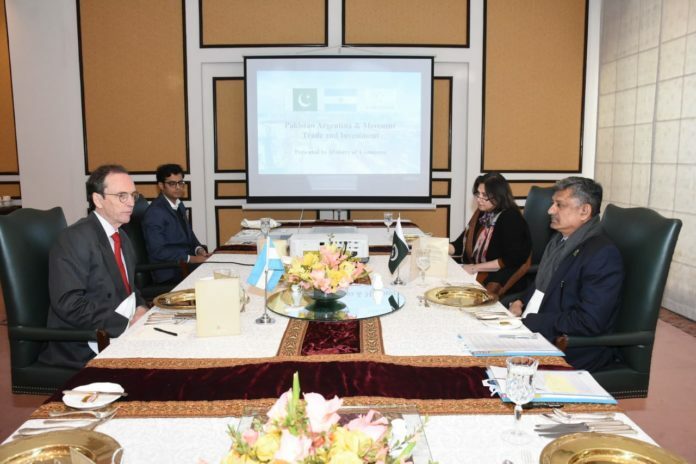 He said a PTA with Mercosur would provide both sides with an opportunity to enhance trade and introduce new products, adding that it would also benefit the textile sector, which was currently Pakistan’s biggest export sector to the region. The commerce secretary further said that it would help strengthen business and trade relations in the region and would provide level playing field to Pakistan vis-a-vis its competitors in Latin America. We must increase our trade with Brazil.